Sign up with your email address to stay up to date on our newest products and sales. The home is where the heart is, so why not fill it with unique home decor items that you love. At Oh Little Rabbit, we believe that selecting the perfect handmade home decor items goes a long way toward making your house a home. Founded in 2010 by Jason and Cara Hibbs, Oh Little Rabbit began as a creative outlet that quickly grew into a full operation. Eco-friendly and created to reflect the personal passions of its creators, our product line is full of unique home decor items, including handmade napkins, personalized towels, unique onesies and much more! Add some character to your home with our handmade pillowcases. Need a stylish, one-of-a-kind tote bag to carry around town? We have a wonderful selection of unique products designed to be visually appealing and practical. 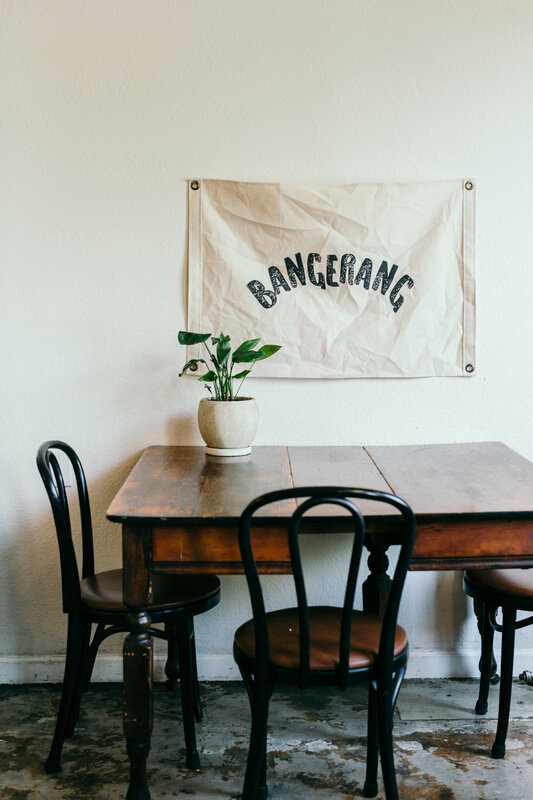 Utilizing organic and recycled materials whenever possible, our product line of personalized home decor is the perfect marriage of art and practicality. Each item is handmade and utilizes nontoxic water based ink, so you never have to worry. Whether it is one of our unique onesies or handmade napkins, you can rest assured that every product that you touch is safe for all ages. Add some charm to your home with our line of personalized napkins, handmade towels and unique onesies. To get your handmade home decor, contact us today!